I started as a Payroll Administrator at Pabsco at the end of October. At my previous job I was a HR Administrator and also did invoicing. I preferred the finance side of my job a lot more and decided it was something I was really interested in. When I started I had no knowledge of payroll and it was all quite overwhelming at how much there was to it. Every payroll is so different from the last and I have learnt so much in the past two months of being here. Everyday something else begins to make sense. My colleagues have been so friendly and welcoming and have made me feel a part of the team. They have also been very patient with me as it must be frustrating training someone up who has never been in this line of work. 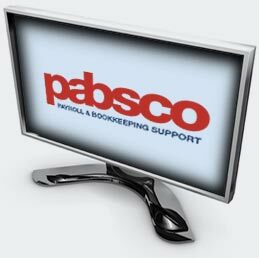 I had also never used payroll software before working for Pabsco. I now use Sage every day and am getting more and more familiar with where everything is and all of the processes we have to complete. I love learning new things and trying to problem solve so it has been really rewarding working here and motivates me to learn more and progress in the finance field. It is refreshing working for a professional company who work together as a team but also have confidence in you to set you tasks to do independently, they are always there to help if I ever get stuck too. I definitely made the right choice choosing to follow the finance side of things and I will hopefully be at Pabsco for a while, continuing to learn and enjoying work!